A beautiful double-width rack for your hi-fi and/or AV equipment. 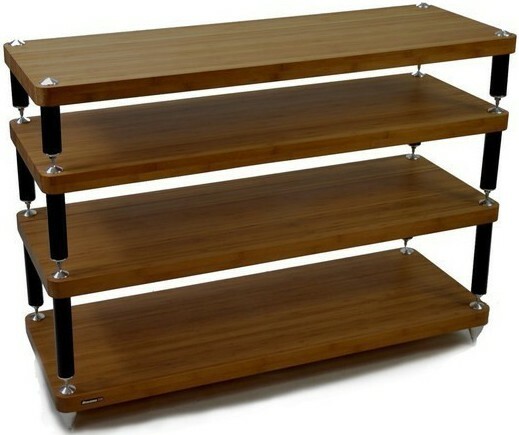 Price shown is per shelf (with your choice of bamboo finish and leg height). Simply select your options and add to basket, then add further shelves to basket until you've ordered the total number required. 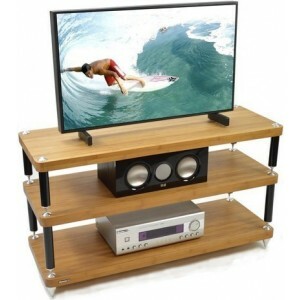 Atacama Evoque Eco 110-40 is the wider AV version of the award winning Evoque Eco 60-40 hi-fi rack. 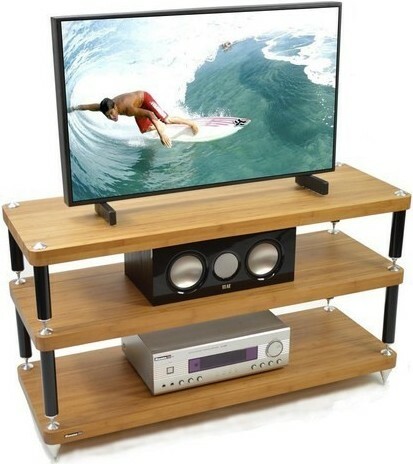 It features high density carbonized bamboo resin composite material for the shelving, The ERIS Eco 5.0 Hi Fi utilizes handmade fully welded powder coated steel frame modules fitted with mini isolation gel pads designed to decouple the framework from the supported bamboo panels. Each module is then isolated from the next via three fully adjustable 8mm carbon steel spikes. To help further dissipate sonic resonance while reducing mass within each shelf, channels have been incorporated into the underside of each bamboo panel. These channels also act as a means of enclosing the main module framework resulting in a Hifi support that offers excellent value, high performance and a clean, stylish modern design. All Evoque Eco modular supports feature 40mm Carbonized Bamboo with a choice of three interchangeable leg heights capable of supporting equipment up to 30kg (66 lbs) per level. The black powder coated high gloss legs fitted to the shelf modules are equipped with twin A.S.I.S.T (Atacama Sonic Isolation System Technology) dampening gaskets and carbon steel studs with aerospace grade Aluminium grounding components matched to full adjustable nickel plated 8mm steel spikes. These components are designed to both dampen and then allow residual high frequency resonance reflection to be channelled away from the supported AV components so allowing them to deliver maximum performance. Being a grass, bamboo is one of the fastest growing plants on the planet that when harvested will continue to grow allowing a new crop every 5 to 7 years. Because of this fast renewable growth, bamboo absorbs very high levels of CO2. All the Bamboo used is to Atacama’s own specification and sourced directly from one specific bamboo plantation. No pesticides, herbicides or artificial fertilizers are in the growth cycle of the bamboo used for Atacama products. 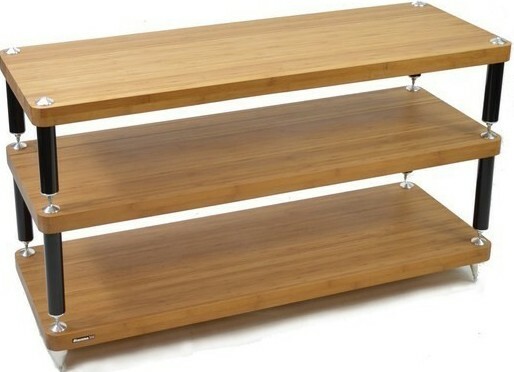 Please note: Bamboo is a natural material so colour, texture, grain and age may give a variable appearance to each shelf. Because of this, adding an extra shelf at a later date will introduce a batch /colour tonal difference. Where possible order your Evoque as a complete modular support with enough levels to fulfil possible future requirements in order to minimize this variation. There may be some darkening of the Bamboo over time. This is normal and part of the materials maturing process.